These are the ultimate synthetic watercolour brushes. Crafted from a blend of differering hair diameters, they give a combination of colour holding, precision and endurance. Ranging from a size 1/8" to 2". 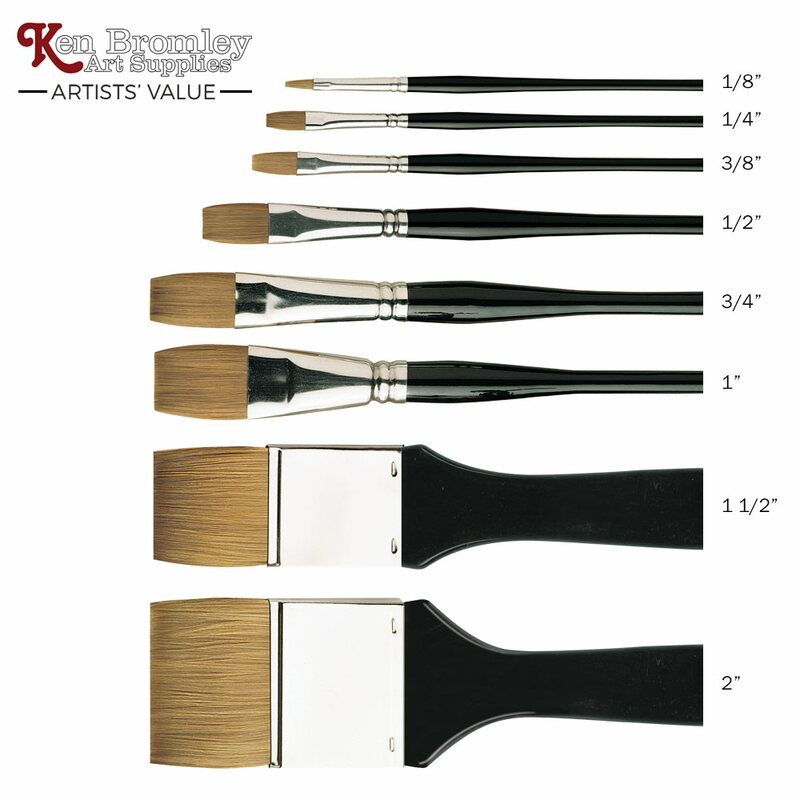 it is a comprehensive range flat Artists' value brushes and you are sure to find a suitable size for your purpose! Good value - Ken Bromley Artists' Value Flat Profile Brush Size 1.5"
Excellent - Ken Bromley Artists' Value Flat Profile Brush Size 3/4"